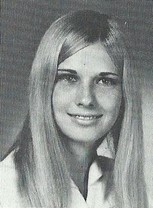 Anne Hundley Rutherford has a birthday today. Anne Hundley Rutherford added a comment on Profile. Anne Hundley Rutherford posted a message. Happy Happy Birthday young man. Love & miss you & Jane. Say hi to her. Anne Hundley Rutherford updated profile. View. Anne Hundley Rutherford posted a message on Ron Austin's Profile.